Asian pears are round, firm pears that are shaped like an apple, but taste like a pear. 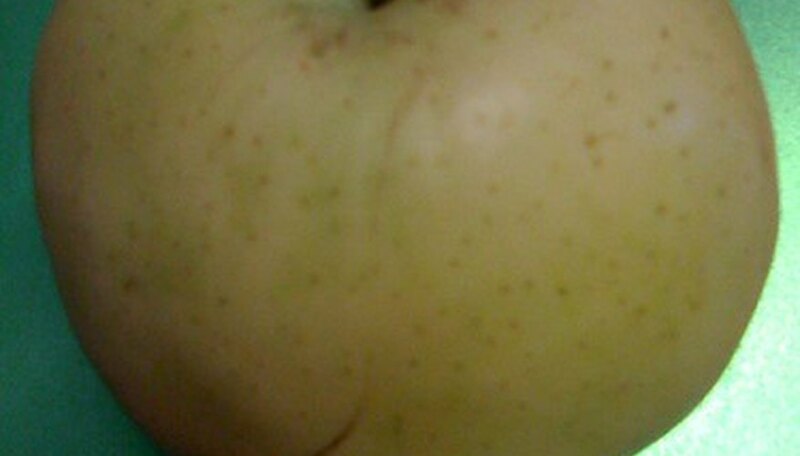 As a result, they are sometimes called "apple pears." Their flesh is firmer than a European pear, but ripe pears are often more juicy. The skins on the lighter, smooth-skinned pears are more tender and sweeter than on darker, more rough-skinned pears. The first step in caring for your Asian pear is to select a good location for your tree. Look for a site with deep soil that drains well. Unlike some other fruits, however, Asian pear trees can grow well in clay soils, but may not produce as well or live as long as trees in better training soils. Prune your Asian pear trees in the winter when they are dormant. Asian pears have a different growth pattern than their European cousins. Begin pruning and training the first year. Trim the top of of your tree the first winter by clipping the main leader just above a bud junction. Continue thinning the tree until you have four or five strong branches by the third year. In some cases, branches in Asian pears may grow at too narrow an angle and require a branch spreader. Branch spreaders press down on branches to increase the angle with the trunk. Asian pears can be drought tolerant, but produce more and higher quality fruit with good irrigation. Water your tree once a week until the top two or three inches of soil is completely saturated. If you are using a drip system, five to eight gallons a week should be sufficient. Fire blight is a common problem on new growth with Asian pears. Because of this, refrain from fertilizing your tree for the first few years of growth. After three years, about 1/2 cup of 13-13-13 balanced fertilizer can be applied once a year. Increase the amount by 1/2 cup per year until you are applying 2 cups per year. If you have any concerns about fire blight, refrain from applying any fertilizer. To get larger, sweeter pears, you will need to cull part of your fruit crop during the growing season. Many Asian pears will produce 8 to 12 blossoms per cluster. Reduce the number per cluster to two or three for better pear production. If you have too many clusters on your tree, thin the clusters until they are no closer than 6 inches.